Danny Wells has already had a very successful songwriting career and the best part is, he's just getting warmed up. A member of BMI's ultra exclusive Million-Air Club, his songs have been recorded by a long list of artists which include: Tracy Byrd, Collin Raye, Bill Anderson, Joe Diffie, Sara Evans, Jo Dee Messina, Julie Roberts, John Michael Montgomery, Billy Ray Cyrus, Confederate Railroad, James Bonamy, and Wade Hayes, with huge hits by George Strait - "Check Yes Or No", Rascal Flatts - "These Days", and Craig Morgan - "Little Bit Of Life", to name a few. The following is taken from a 30 minute visit on March 24th, 2011 in his office on Music Row in Nashville. 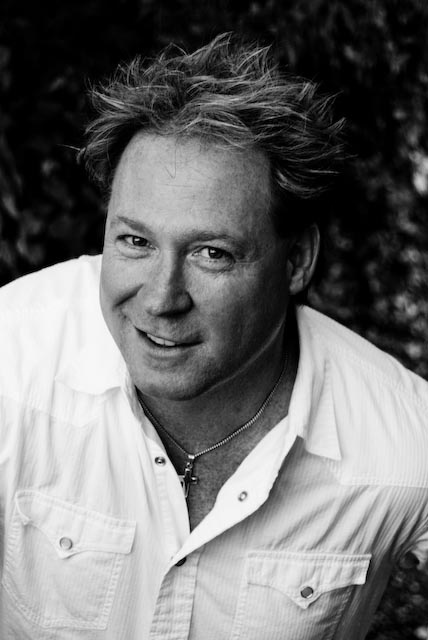 Meet hit songwriter, Danny Wells. Bronson: It's great seeing you brother. Danny: Great seeing you my friend. Yeah we do go back quite a ways to the days when I was working over at John Denny's music publishing company (the Denny Music Group). I was actually working in the back room for another company, Town and Country Productions, you were working with John. I had a Mercury Bobcat at the time and we'd mail records for Warner Bros., put them in these big bags and get bulk mailing rates on the big albums. Yeah, that was back when we did that stuff. Bronson: You've been having a very successful songwriting career. Where are you actually from? Danny: I'm from Roanoke Rapids, NC. Danny: I graduated high school in '78 and went out to a church school in Oklahoma City and got my voice degree in '78, '79, and then in 1980 I moved to Nashville. Bronson: What prompted your move to Nashville? Why'd you come here? Danny: I came here to go to Belmont University and got my guitar degree and I was a commercial music major. You know, a typical overnight success. I came her in '80 and got my first cut in '95, (laughing) so 15 years later. Bronson: When did you write your first song? Did you write when you were a kid? Danny: I grew up in church and a buddy of mine, Irving Carter and I, just started writing 'cause several of my friends that were older had a band and stuff, we had a little group called, New Beginning and we started writing Christian songs. I started taking piano like when I was in 2nd grade so it was just inside of me. I loved music and I loved singing so yeah, I've always written. Whether I ever made any money or not I was going to be doing it. Bronson: Parents? Siblings? Someone in your family was musical? Danny: No not really. My grandmother played a little piano in church but not really. It's just one of those things, I guess I got blessed with it. I think it's a gift from God. Bronson: When you write a song, how does the process work for you? Some kind of an idea that inspires you? Do you start picking' your guitar, is that what you write on, a guitar? Danny: I've written on piano and guitar but mostly I do write on guitar. I have a, we call them hook books in Nashville, just to keep your ideas in a place, and when you sit down to write with somebody, you go through yours, they go through theirs. You might go through 15 ideas before you lock onto something. I think earlier in my career we'd grab the first thing that came out. We'd just write it. You learn to edit things and you learn to get better. You can make it a craft and talk about alliteration and personification, and metaphors and similes and all that stuff, but once you understand the english part of it you want to write stuff that really is about, Country music is about issues that affect people who live in this country and that's what we try to do. To find the commonality of what we're living and how it would move people and how they can relate to it in a little 3 minute movie kind of deal. Bronson: So you say we a lot, so do you basically mostly always cowrite? Do you write solo? Danny: I was just thinking of songwriters in Nashville in general. I pretty much always cowrite. I have written songs by myself but in Nashville at the BMI Awards, I've never seen anybody walk across the stage by themselves. It's just a joint effort, a lot of publishers and a lot of songwriters. Each songwriter has a publisher and each publisher has a song plugger so it just gives you more chances of making something happen you know, if there's more people involved in the whole process. Bronson: You're a member of the BMI Million-Air Club. That's a very exclusive group. Danny: Yeah it's a really neat thing to have a song come out and somebody record it. You know I moved to town in 1980 and it was 15 years before I got my first cut, like I said, and it was "Check Yes Or No" that George Strait recorded. I think it's up to like 4 million-air plays now, something like that, so I feel blessed. I've had some other songs with Rascal Flatts. It's a good deal, my mom and stepfather were in town one day and the BMI guy took us over to have a nice lunch somewhere and they brought in some cameras and took some pictures and put it on air. Bronson: How cool was that? Danny: Yeah, it really, really was neat. It's a good feeling. Bronson: Your first one was in '95. When was the next one? Danny: You know what? (laughing) It was about 5 years later. I remember going to another publishing company, I'd go down to the tape copy room and my friend Darrell worked down there and I'd say, "Look, nothing's happening. Am I doing something wrong?" He'd say, "No, just keep doing what you're doing." At that particular publishing company, the guy that ran the place, we just kept talking about the ideas and it took a long while for me to understand really what an idea was because a lot of times you just think, well that's a song title. But just because you have a title doesn't mean you have an idea and I just started to understand that. When I was over in that particular company I had some other records, "Hello, L-0-V-E" with John Michael Montgomery, and "While You Loved Me" for Rascal Flatts, and actually their second single, "This Everyday Love", I wrote that with Gene Nelson. Things just started happening, I started to understand it a little bit more. Bronson: All through this period, were any of those pitches you that did, or were they basically through pluggers with the publishers you were working with? Danny: Basically through pluggers that I was working with. Yeah I don't think I was responsible for getting any of those things cut. I'd just write them and go and demo them and then the publishing company would do their part and go get them cut. Bronson: If there was a songwriter out there thinking about moving to Nashville, what kind of advice would you give 'em? Danny: I would say listen to Country radio. Listen to a song and write it out. Like really look at it and dissect it. For yourself, whatever that means. Without reading a book, you know, listen to it. Bronson: Now you're talking about a hit song? Danny: Yeah, like a hit song on the radio. Bronson: One of your favorite songs, just write it out? Danny: Write it out and just look at how it lays out. This is what I did at one point of my career. Just break it down in english stuff. Like I don't like the word romance, I wouldn't use that in a song. But when you think about "Third Rate Romance, Low Rent Rendezvous", you start realizing, okay, that's a bunch of r's. You don't even have to know that that's alliteration, but that works. There's a reason people like to say - peter piper picked a peck of pickled peppers, how many pecks of pickled peppers did peter piper pick? (laughing) Well then you go, ok, cool man. So what you're saying is the same consonant in succession is a good thing, well then Bronson you have one tool, and you realize, oh, I can use that in a song. You go back and you see the word like a lot. Well you don't have to know that that's a simile, a comparison, you just have to know I need to do that. I need to use like, or as. As you start to analyze songs you start to realize the craft. I was going to say tricks of the trade, but there's a craft to it you know and then eventually down the road, you want to evoke emotion with the stuff that you learn. I think the best way is to listen to what's on the radio. I teach seminars sometimes and I'm amazed at the number of people who come to town who want to write country music, but I go, "What do you think of that new Sara Evans record on the radio?" and they go, "Well I don't listen to the radio." You know it'd be like wanting to be an actress or an actor in Los Angeles and you live in North Carolina. Your chances aren't going to be very good if you don't know who the producers are know what's going on, or really watch movies. I think listening to the radio is a very good thing. Bronson: Now we're in 2011 and you've got so much happening. We could talk for days about all the things you have happening, but now you're becoming very actively involved in producing yourself and started a production company, tell me a little bit about that. Danny: I started a few years ago when I worked with Blake Wise. He has a deal with Broken Bow Records right now, he's got some records coming out on the radio, instrumental in the early part of his career. Did a showcase for him over at the Tin Roof and he got a deal with Broken Bow Records. I've spent quite a bit of time around Mark Bright, who produces Carrie Underwood and Rascal Flatts, some people of that nature. Mark and I went to college together so I've just been here for a long time and I've seen things. I guess you could say I'm the old kid on the block on the block now Bronson (laughing). Bronson: Don't say that because you're gonna make me sound old and I ain't old, I'm just getting started. Danny: It's easy for me to recognize talent, not that I've seen it all but I have seen it all and you can tell when someone stands a head above the crowd. My Danny Wells Production Company, I'm looking for new talent all the time because the record companies need new talent and they need a new star. When we go into the studio we really dig deep for songs because that's the most important thing. You know kids have a lot of talent, it's amazing these days. You see American Idol with kids just young, I mean five years old and stuff, so we dig for songs that fit artists and try to find something new. We're always looking for something new. My production assistant, Richard Donnahue and I, he's got a company, Next Level Entertainment. We work together and we're looking for the next star in Nashville. Bronson: What's your website? Someone wanted to find you online where would they go? Danny: They can look at my website at www.dannywellsproductions.com. We've started a record company called Purple Cow Records with some partners of mine. Richard Donnahue, Cindy Bell and Erik Nelson and it's an amazing time right now with all the social networking going on. We're partnering with Major labels and we're definitely looking for some amazing talent and I don't think it's all in Nashville, I think it's across America. Sometimes you feel it, I'll never forget one time I looked at a CMA show, when Alan Jackson just looked into the camera and said, "If you know it's inside of you, I wanna just tell you to keep doin' what you're doin' and realize that God's going to open up the door for you one day to make your dreams come true." And I never did forget that, just gave me some gasoline in my tank and I keep doin' it. That's what I want to tell people, the opportunities are there, you just got to keep doing what you're doing, getting better at it and write a big 'ol hit. Bronson: So have you playing any? Been picking any? Danny: I enjoy playing out for Tin Pan South in Nashville. I'm on the board of Nashville Songwriters Association International. I'm very active in going to Washington, D.C. to meet with Congressman and Senators, regarding issues that affect our Industry. You know, with regard to illegal downloading, piracy, and even when the Copyright Royalty Board made the judgement about 3 years ago about how much money would be paid on digital recording rates, because we never had that before. We always had analog, CD's, cassettes, 8 track tapes, whatever medium like that, but now with mp3s, how much money is the record company supposed to pay for that? Those rates had to be decided and I'm very proactive in that regard. Bronson: Are you playing Tin Pan South this year? Danny: You know it's the first time I haven't played it in like 10 years, but I took off this year to go enjoy my friends. Bronson: Yeah, it's going to be a lot of fun. Danny: Yeah it is. Some amazing talent. Bronson: You mentioned that you were working as a record company now, as a label, your production you've been doing. Can you name a couple of the artists you've been working with? Danny: There's this amazing duo. Their name's, July Lee, and they're cousins. A blonde and a brunette and they're amazing singers and they're so talented. They have a different edge, kinda like a Shania Twain thing come back around, they have dancers on stage. We signed them to our label and we've got some Major label interest working together with us on that as well. We've got a 15 year old girl from very close to Nashville, her name is Bonner Black and I think we're going to see some amazing things for her as well. Bronson: So now you're in the process of cutting them? You have product ready to come out or you're looking for songs for them? Danny: We actually have finished a lot of the July Lee project. Bonner Black, we've cut like 5 songs so far, so we're getting ready to take her in front of some record labels here in the next 3 months. We're working on a live set for her with a band, getting her ready for that side of things. Bronson: Is there an expected time of release for people being able to purchase online? Danny: I wish I could say that right now, I'm not sure when it's going to be out but you can go to www.julylee.com to check them out. We're in the process of working on the Bonner Black thing right now. It's in the preliminary stages but it's going to be a fun time. Bronson: You are a busy man. Danny: These are good times. We're looking for some more stars out there. Bronson: Well I appreciate you doing this and good luck to you Danny. Danny: Thank you Bronson. It's so good to see you my friend.